WAUKESHA, WI/NEW YORK, N.Y. (October 30, 2018) –Kalmbach Media, the content creator of such well-known and respected media brands as Astronomy, Discover, FineScale Modeler, Scale Auto, Model Railroader, and Trains, is celebrating 25 years of its Bead&Button brand with a number of new initiatives that secure B&B’s place as the leading brand for jewelry-making enthusiasts. 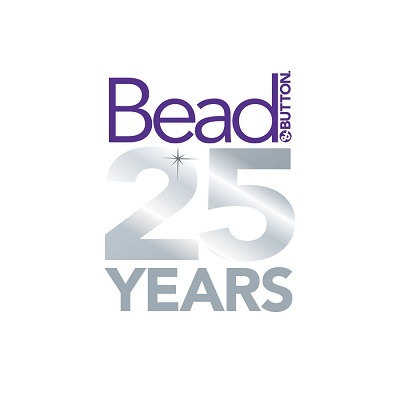 Bead&Button was originally launched 25 years ago as a magazine that spotted the burgeoning interest in beading and quickly connected with a passionate, creative audience. The brand has grown along with the DIY jewelry market, one of the hottest categories of the $45 billion craft industry. Bead&Button now encompasses a robust digital destination, videos, e-commerce, books, a subscription box program, and the world’s largest consumer show of its kind. FacetJewelry.com, one of the industry’s largest consumer websites offering free tutorials and information covering a wide range of jewelry-making techniques. Bead&Button magazine is marking its Silver Anniversary with a special issue currently available on newsstands. The issue kicks off a year of celebration that will include special jewelry projects from top designers (many of them in silver tones); a limited-edition silver bead-clasp for sale at JewelryAndBeadingStore.com; and anniversary sweepstakes valued at over $2,000. Kalmbach’s digital media websites and extensions across the Kalmbach portfolio of brands reach more than 35 million consumers on 18 sites, including the e-commerce sites My Science Shop, Kalmbach Hobby Store and the Jewelry & Beading Store. Kalmbach is also a leading producer of conferences and experiential events for the hobbyist and enthusiast marketplace including the recently held International Train Expo; the Bead & Button Show, which draws over 11,000 participants from across the country; and, the Craft Beer Festival among others.